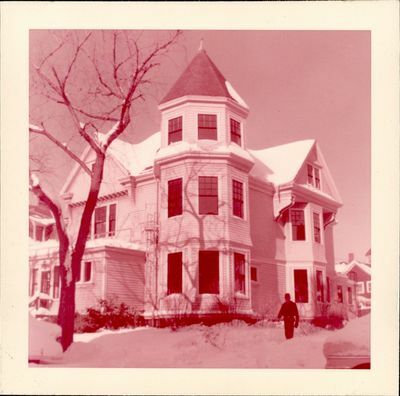 "Front right view of building at 31 Everett Street"
Photograph of the building at 31 Everett Street, Cambridge, MA. View is of the front right portion of the building. There is snow on the ground and an unidentified man standing in front of the building.